A man stabbed to death during New Year's celebrations in the capital has been named. A father suffered potentially life-changing injuries, and his partner and two-year-old son were also hurt in an acid attack in north London. Dr Jeroen Ensink was killed on the doorstep of his flat in Islington in December. 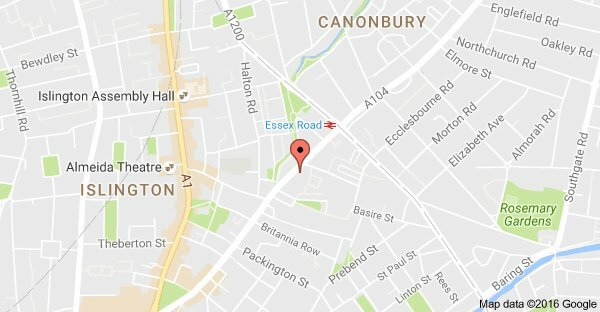 Firefighters from Islington and Holloway are batting a blaze in Essex Road, London Fire Brigade say. Detectives have appealed witnesses after woman was raped at knife-point in north London after she was asked for cash. A 25-year-old man has been shot dead in north London. A man filmed punching dog outside supermarket in Islington has come forward to the authorities. A passer-by videoed the man punching the bull-terrier dog to try and get it to sit down. The video was filmed on Monday August 15th outside the Co-Op on Benwell Road, near to Arsenal's Emirates Stadium. A warning: some viewers may find the below video upsetting. A dramatic rescue of two children and two adults from a burning building was caught on camera. Labour leadership challenger Angela Eagle has told Peston on Sunday that she is fighting to save her party.